The Seven Pillars are: Identify, Scope, Plan, Gather Evaluate, Manage, and Present. Each is divided into understandings (labelled "Understands") and application (labelled "Is able to"). The Open Content lens in aimed towards producers primarily - researchers, authors and professors. Learners are placed in a passive role, e.g. "Is able to: Assess how open content could enhance the learner experience." There should be a role for the learner as active participant, as a user, creator and sharer. On the other hand, this lens emphasizes the idea of information literacy as a continuum rather than a binary. The understandings and applications of this lens are far more relevant to those on the advanced end of the scale. This article presents a view of inquiry-based learning as a flipped classroom, similar to TIC104 - not just doing the reading before class, but using class for synthesis and collaborative learning. As the title indicates, the main point is about shifting from testing to learning in assessments, which we also accomplished with the midterms. Ideas offered include involving the students in crating rubrics, having students create written self-evaluations with rubrics, and grading conferences. Using flipped learning in this way lets students "take charge of how and why they learn," something I've been pushing a long time. Hamelink, C. (1976). An alternative to news. Journal of Communication 26(4) 120-124. "A new 'information literacy' is necessary for liberation from the oppressive effects of the institutionalized public media." "Oppressive" feels like too strong a term to me, but what he's saying is that the media are controlled, and also a means of control. What the public knows is what they are told. I don't quite buy it, because people can question what they are fed. They don't have to accept it as true, or the whole truth. He envisioned "alternative information networks" - an internet, perhaps? The charcteristics he lists - documentation, investigative journalism, independence, network, accessibility, suggest the web. Note the sixth characteristic, "Confidence that all people are important sources of information" and how it aligns with user-generated content and Wikipedia. He lists some alternative news organizations, but recognizes that they are not enough, and are really just more of the same thing, another channel subject to the same kind of control. He ties this to Freire's banking concept, with the media and the public playing the roles of teacher and student. "The first step toward 'information literacy' is to ecognize that access to information starts from where the information users are." It's all about context. Messages come with context, in a context, to an audience in a context. Contexts should be recognized, and can be changed. He calls for environments where people can access and interact with information and each other, "at [their] own initiative and in [their] own perceived self-interest." These environments should be networked together, and give people the power to create information. Again he was envisioning the web, even leading to a vision of e-government, suggesting that "the infomration-powerful and the information-powerless ... reverse roles" and engage in "community decision-making." I've been thinking about how The Internet Course that we ran for a few semesters aligns with open pedagogy. It was a for-credit, tuition-bearing, face-to-face course, so perhaps I should hesitate to call it open. Some of the course content was freely available online and some was licensed content restricted to the campus community. Some of the products of the course are openly available online, but some of the intellectual output occurred in in-class discussions and presentations. But it was very open, in a different way, in that we opened the direction of the course to student input. We came up with a framework for how the class would approach the topic, but the students determined the direction of the course, through their interests, and the content, through their research. We used the course hub to engage in as much open practice as we could, using the internet to learn and teach about the internet. We had talked about using only openly accessible content, but my feeling was that that would shortchange the students, since part of their tuition paid for library content. This is all very much in line with the student as producer model that Christina wrote about. It didn't involve OERs and it wasn't an open course, but it did open the process and engage an open environment. I was going to blog about Rudy Leon’s take on the Bohannon Sting a while ago, but never got around to finishing my thoughts. (I do that a lot.) The editorial considered the Sting and its implications for information literacy instruction. Since so many allegedly peer reviewed journals accepted an obviously bogus paper, Leon says the peer review designation cannot be used as a measure of quality anymore. How then do we teach students to evaluate the quality of articles? I think that calling this a "crisis" overstates the case. Peer review has always had its flaws. Articles get retracted. Theories spread, getting championed with little rigor, and are later found to be highly questionable. I've seen articles on MOOC research and wondered how they ever made it through peer review. Bohannon’s back in the news, this time for putting faux scientific research by a bunch of journalists, none of whom bothered to ask even basic questions about how the research was done. On the bright side, some people in those comments that you’re never supposed to read did ask some good questions, so maybe there’s hope for us after all. Asking questions is the important part. Who wrote this? Why should I listen to them? Why was it written? That’s just basic info lit, people. It doesn’t go away. The title of this episode is "A New Day." 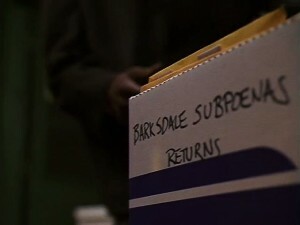 In the script, it specifically refers to the new mayoral administration and to the New Day Co-op that Prop Joe runs with the other drug kingpins. 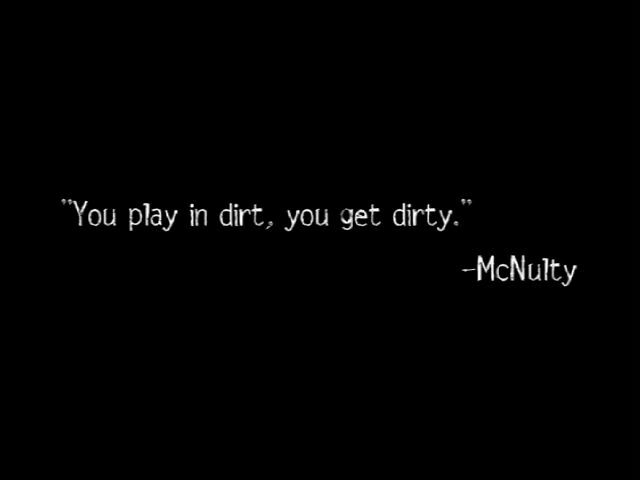 The epigraph is "You play in dirt, you get dirty," which is what McNulty says about Officer Walker. 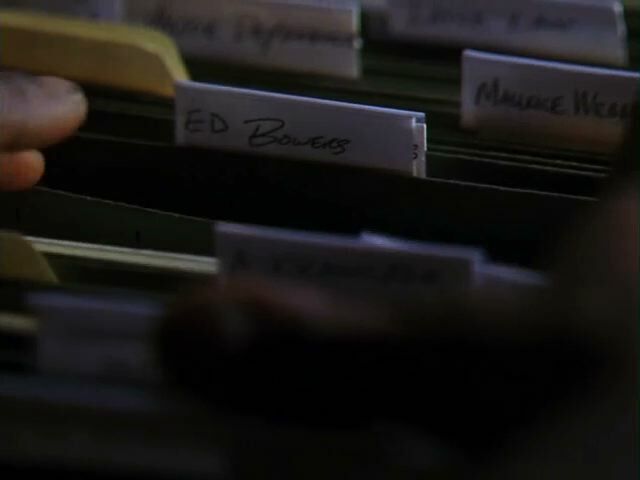 "Dirt" is referenced a few other times in the script - when the kids are plotting payback on Officer Walker, when Bunk presses Prez for help with getting Randy to talk, and in the discussion of city finances: "Finance, of course, doesn't deal with the dirt under the nails tangibles, unless you consider the money itself to be dirty." "A new day" could also refer to the major crimes unit getting back to business. Daniels calls it "morning in Baltimore." Lester goes back to the unit's office and turns on the lights, symbolic of a new day/morning, and starts digging in the dirt and reviewing case files. There's some eloquent visual storytelling going on in the scene. 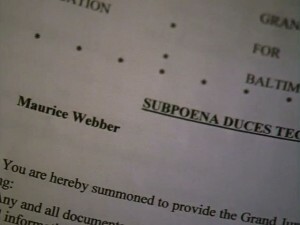 We see a box labeled "subpoena returns," so we know we're looking at the trail of dirty money. We see Freamon pull a folder for Ed Bowers, and the scene cuts to a fundraising gathering where the new mayor is hobnobbing with the city's elite and gets introduced to Ed Bowers. 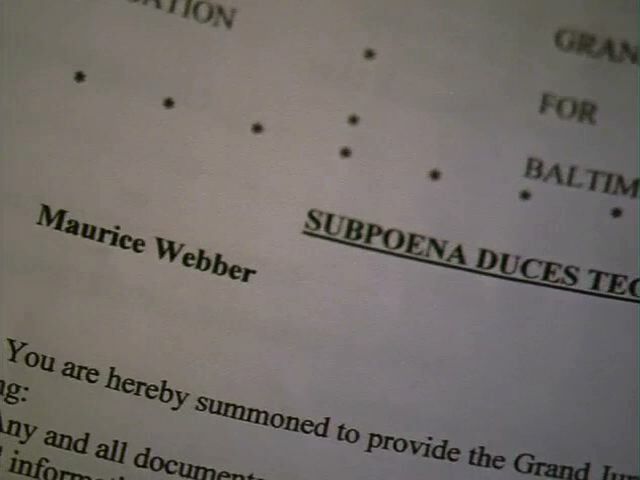 We go back to Freamon looking at a subpoena for Maurice Webber, then cut back to Carcetti in conversation with another person. His name tag reveals him to be Maurice Webber. We can expect the new mayor to quickly find dirt under his fingernails. By intercutting those two scenes, and juxtaposing just the right shots and just the right dialogue, we get all that information in a fraction of a minute - another example of masterful editing. 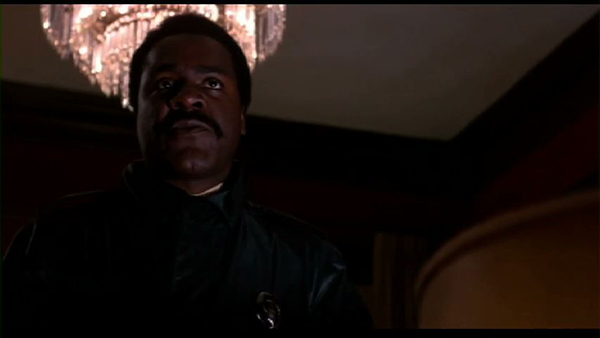 Earlier in his career, before he acted as Commissioner of the Baltimore Police, Ervin Burrell had a number of other jobs, including truck driver and apartment building superintendent. He also worked for the New Orleans PD. 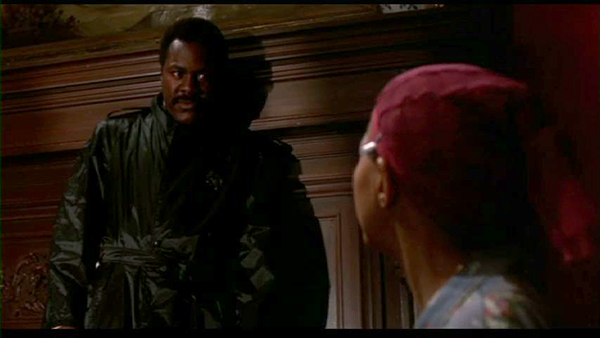 Here we see him in Cat People, the 1982 remake of the Jacques Tourneur classic of the same name. The top picture makes him look like a saint while the lower one makes him look like Shaft. My wife questions my choice of movies. 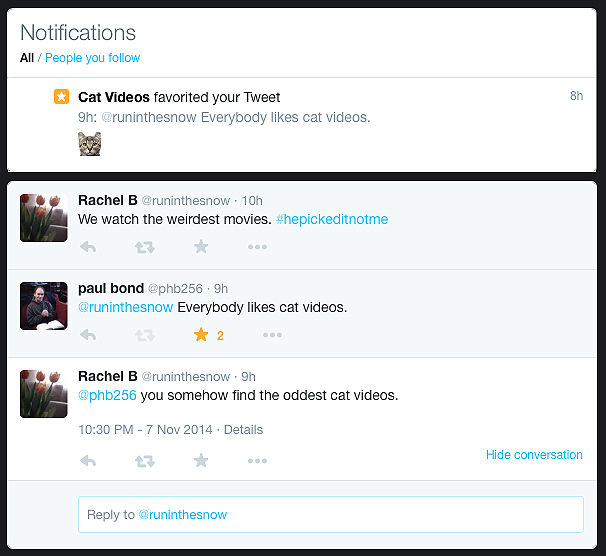 But Cat Videos approves! So I had to do some editing. I went at it on both fronts - shortening the speech and lengthening the music. 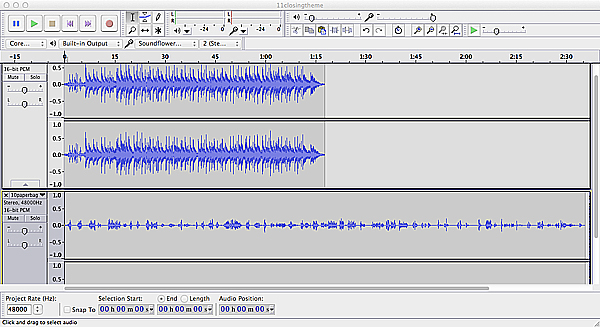 If you look at the speech, you see a lot of flatline segments, the pauses between his words. Taking them out entirely would make it sound unnatural, but they can be edited aggressively. 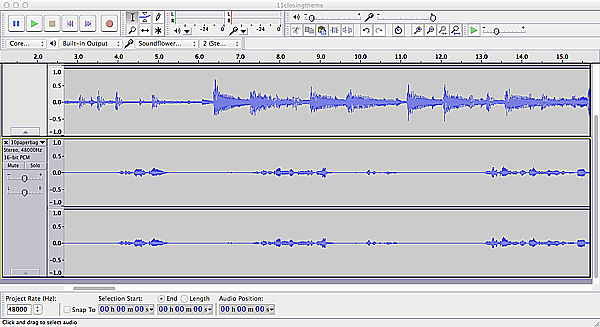 Every place I saw a length of silence, represented by the flat line in the waveform, I removed a large part of it. This shortened the speech significantly, but it was still longer than the music. Editing that was trickier. I selected three passages and looped them by copying and pasting. The trick was to listen to the pattern in the music and figure out where it repeats. That way I could duplicate the sections without disturbing the flow of the music. I don't think I did a really good job with getting the splices right - if you focus on the music you can hear where I edited it. On the positive side, it's only jarring in a couple spots. I used the Amplify function to boost the voice and the mixer slider to bring down the volume of the music. A minor character who makes his debut in this week’s episodes is the Deacon. I’m not sure if he has a name beyond that. 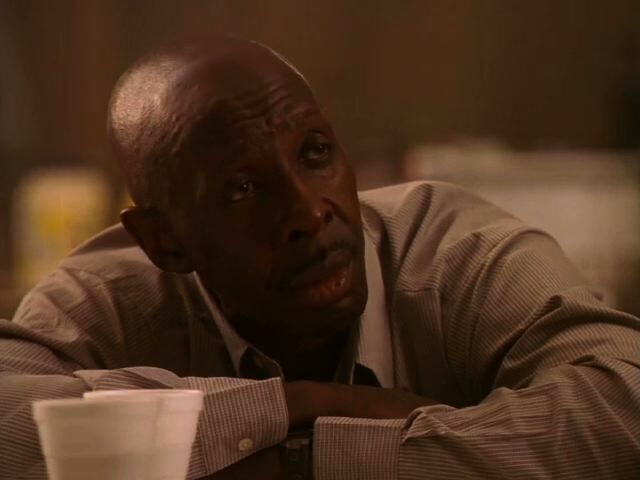 He’s played by Melvin Williams, a former Baltimore drug kingpin who served as a partial template for Avon Barksdale. Simon wrote a series of articles about him for the Baltimore Sun. I couldn’t find them online, but did find a blog post discussing them. 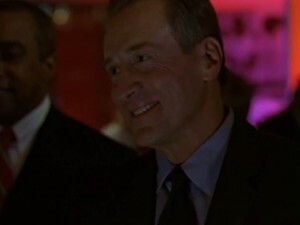 Many of the characters in The Wire are built from real people that Simon and his co-authors have encountered, or have been for that matter. The series takes that a step further by weaving real people into the story. 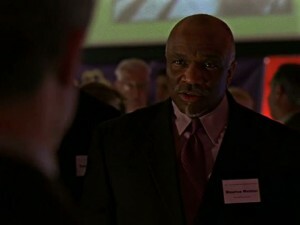 Detective Ed Norris is played by Ed Norris, former Baltimore police chief. 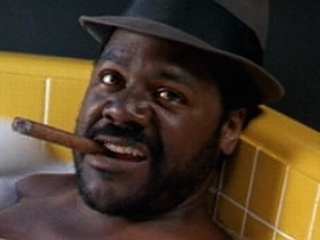 The character Omar was inspired by Donnie Andrews, who has a bit part in some episodes. Jay Landsman is based on Jay Landsman, who plays Colvin's second-in-command. Felicia "Snoop" Pearson is portrayed by Felicia "Snoop" Pearson, who was a product of the environment seen in the series. Simon talks about the city of Baltimore as a character in the series, which we see in the photography and authentic settings, but I think the blurring of real and fictional characters also contributes to that. 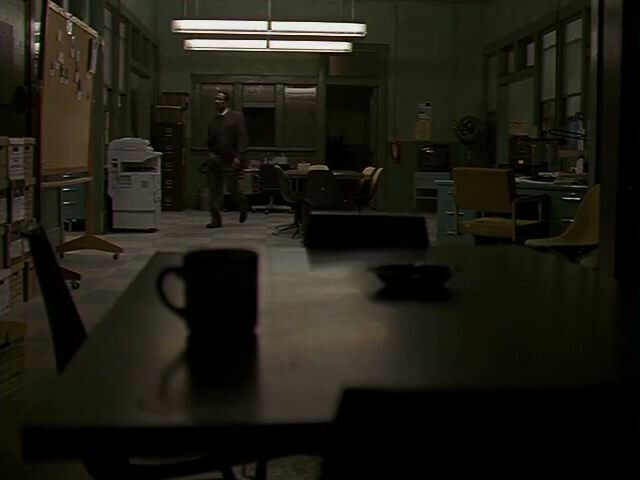 UC Berkeley professor Linda Williams wrote (PDF) about these connections in studying the ethnography of The Wire. I'll have to read that more closely. Sandy Brown Jensen wroteall about The Wire and their adventures for today's Daily Create. I vaguely remember Julie Andrews' role in the episode, "The Hills Are Alive With The Sound Of Mac-11s." I knew there was a GIF of it out there somewhere.